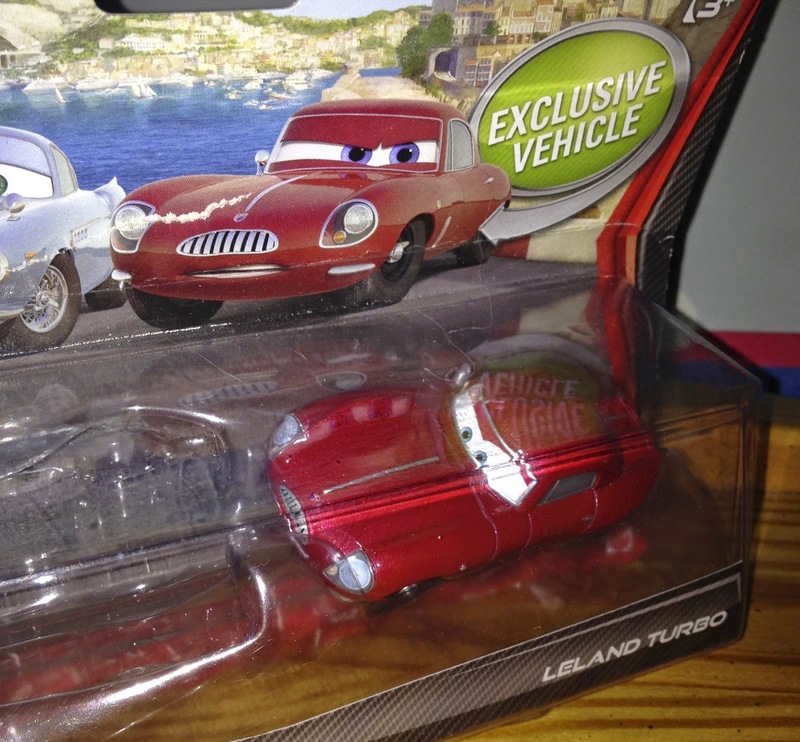 In Cars 2, Leland Turbo is the very first character seen on screen. He is the British spy car who discovers crucial information about the lemons' evil plot during a mission on one of their oil rigs. The film opens with Leland sending a video message to Finn McMissile, requesting backup claiming that what he found out is "bigger than anything we've ever seen." Leland meets a terrible fate when he is caught, crushed and cubed by the lemons there on the rig. This 1:55 scale diecast was released in late 2012 in the original Mattel Cars 2 series. He was (and is) only available as an "exclusive vehicle" in this "movie moments" 2-pack with Finn McMissile. "Leland Turbo, British Intelligence. He and Finn McMissile go way, way back together in the world of espionage, and they even trained together in the academy as new recruits. They were partners early in their careers and owe each other their lives, getting one another out of though spots many, many times. Clearly, Leland is not one to run from danger. In fact, he thrives on it... but this time it may end up costing him more than he thinks." Fun Fact: Leland was voiced by British actor Jason Isaacs, who Harry Potter fans will recognize as the actor who portrayed Lucius Malfoy in the films.